Happy Saints: 100% Goal Reached! Happy Saints A to Z Cards! The crowdfunding campaign has reached 100% minimum funding goal! Thank you to all contributors - we are going into production soon! It doesn't stop here - there are only 10 more days left! 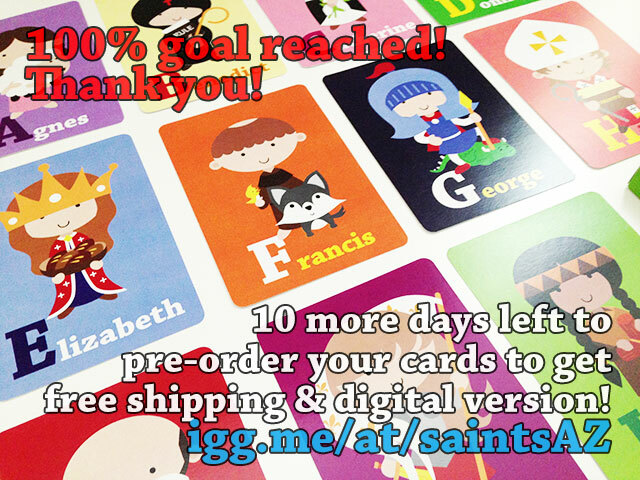 You can still pre-order the Happy Saints A to Z Cards to get free shipping & digital version! Or get additional copies for your friends or the limited edition posters!